Physical Vapor Deposition - also known as PVD Coating - refers to a variety of thin film deposition techniques where solid metal is vaporized in a high vacuum environment and deposited on electrically conductive materials as a pure metal or alloy coating. Whatever you are looking for in Physical Vapor Deposition PVD coating technology – DC / Pulse DC Magnetron sputtering, RF Magnetron sputtering, Electron Beam Evaporation or Thermal Evaporation Systems, Ion Beam – there is probably a more advanced Semicore version that is tested, proven and will give you more for your money. Here at Semicore we welcome unconventional thinking and recognize that standard off-the-shelf solutions are often too limited and/or inflexible to be adapted to new ideas. Bring us a specification or bring us a goal or problem. We are glad to work with you either way. Converting ideas to physical reality is our Custom Vacuum Engineering Department’s job. Please take advantage of our free vacuum engineering evaluation service. Whenever you need to extend the useful service life and/or enhance the functionality of your current sputtering coater or evaporation system, Semicore’s tooling and fixturing design team provides quick, efficient, service. Innovative thinking has gone into the improved design and manufacture of each of our remanufactured sputtering systems and evaporation systems. 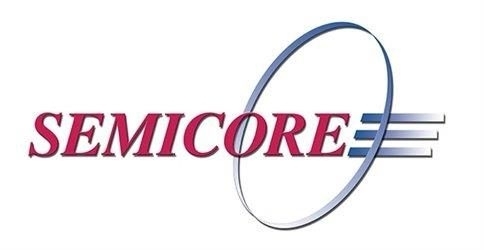 These are not functionally equivalent clones - they are Semicore’s own tested and proven improved versions of thin-films industry standard platforms. Semicore has developed an advanced Human Machine Interface (HMI) control package with versatility, user friendliness and ease of maintenance in mind. Due to its flexibility, the control system can be customized for any process tool application and has been integrated into many thin films production tools used by leading companies in the Semiconductor, Photonics, MEMS and related high technology fields. Whatever your needs in PVD thin film coating technology, engineering and equipment, Semicore is here to help you!